It is a busy time for Longford CCRO Dylan Quinn, both on and off the field. Less than a year into his role as the club community officer in Longford RFC, he has been hitting the ground running both in the local schools and between the white lines in CPL Park, Longford. 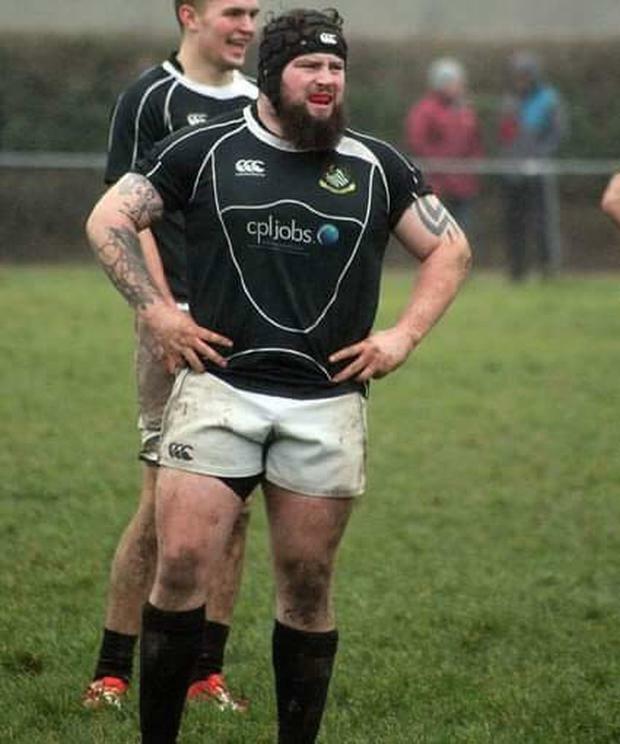 He has played with Longford RFC all his life while also playing at a higher level with Buccaneers and Bective Rangers on dual status in the past. He is one of the most capped Leinster Junior players in the province and has been an ever-present for the province in the last five years. This season has seen the club take a massive stride forward. They are one game away from promotion to the top tier of the Leinster league when they take on Bective in a play-off this weekend, while they are also back in the Towns Cup semi-finals for the first time since 2013. They take on Wicklow in the coming weeks. Quinn is happy to be in the position and explains that they have bounced back from a few tough years. "We are in a stable position at the minute. We fought hard to get to the relegation/promotion play-off and to the semi-finals of the Towns Cup. "A couple of years ago we had a bad slump and we were relegated back to 2A but we got promoted again into 1B and if we were to get to 1A, it would be the first team in the club's history to do so. "Kids in the schools are starting to come to the senior games because winning gives everything a bit of a lift." Speaking of schools, Quinn's role as CCRO in the club is centred around them and spreading the magic of rugby throughout his area. Currently directly involved with coaching in seven primary schools and four secondary schools, all of which would feed into the club, the born and bred Longford man is hopeful that more schools will come on stream in the near future. The job itself is something he loves and comes as a culture shock from his previous job as a shift worker in a factory. "It's a dream come true, to get paid for something you love, I am still waking up every morning thinking, 'Wow'. "I have played all my life with Longford while dipping in and out with other clubs on dual status. "Before this I was working in a factory doing 12-hour shifts and it was hard to commit to training and rugby in general. "I heard that there was a role coming up and I put the head down, applied for it and got it," explains Quinn. While it is a welcome change in environment for the rugby-mad Quinn, he is still busy on the ground and putting in the hard yards to ensure he plays his part in the future health of the club in terms of getting players through the doors. "The first few months where I was finding my feet were I won't say tough but just something new but once I started to get the hang of stuff, it started rolling naturally then. "It keeps me really busy during the week. You are constantly doing something and it is something I love so you don't really class it as work." 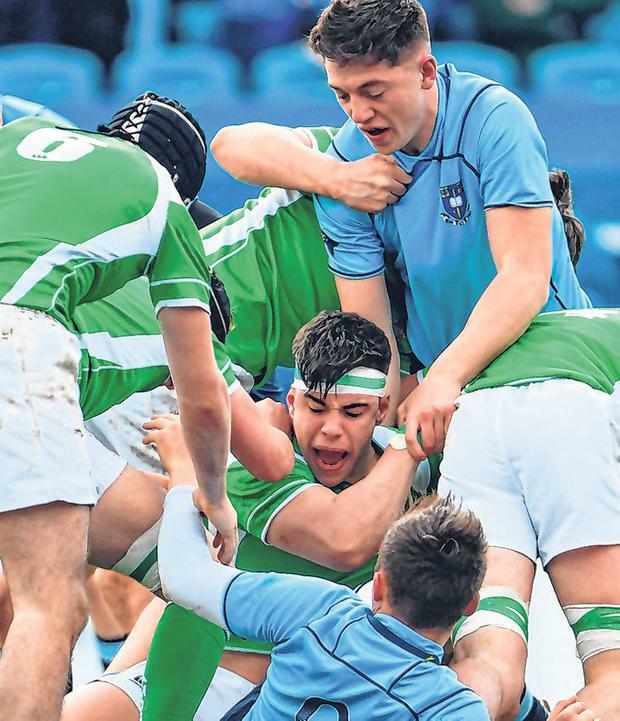 One of the success stories in his tenure to date has been Moyne Secondary School defying all the odds to reach their first final only last Tuesday. They were beaten in that decider but, as Quinn explains, they came a long way since the start of the year. "They were defeating all the odds this year. They came as underdogs and when I say underdogs - at the start of the year we had maybe 10 junior players and now at the moment we have 50 or 60 training in that school from first year to third year. Getting to the final was great for them as it made them realise that they were able to play rugby." 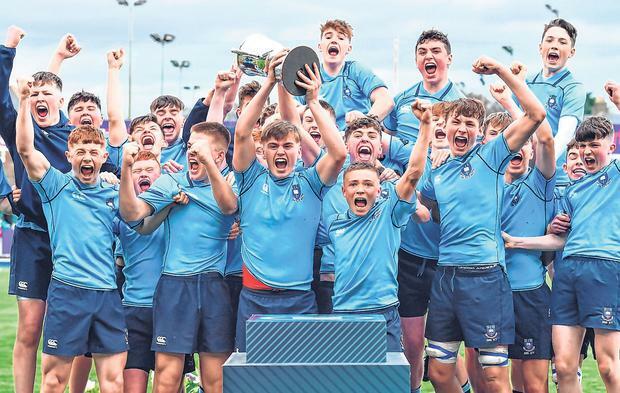 With so much time and effort going into the schools, the club was bound to see the results and there is no better example that the club's under 13 side. Having started the year with fewer than 10 players training and signed up, they now have a panel of 20 players and are playing competitively, travelling to away matches and getting a real feel for the sport. While Quinn brings a lot to rugby in Longford, the club also gives a lot back to him. The support structure in the club has been massive for him with club coaches typically helping him out in schools when the need arises. "I have fantastic support from the coaches in the club. I do get asked to help out in the club as well and then I can ask others to come and help in the schools. The lads would put their neck out for you and help in any way possible." There is trojan work going on but there can always be more done and he has hopes to broaden his work load next season and introduce new schools to competitive action. "There is a school I was going into and they wanted me back but they were only doing Tag Rugby as part of a TY project. "Now the players want to play the full rugby so hopefully next year we will bring them to one of the blitzes and give them a taste of full-contact rugby." A club's facilities are becoming more and more important with every passing year and Longford have stood up to the plate to be the envy of not only most junior clubs but even others at senior level. Two seasons ago, the club opened the Hugh Connolly youth centre, a dedicated space for hosting minis and youths players after matches in memory of Connolly who passed away in 2014. All these recent investments are on top of existing facilities like covered stands, an electronic scoreboard, a state-of-the-art clubhouse, a strength and conditioning centre opened in the memory of former club captain Derek Belton, five men's dressing rooms, a physio treatment room, and separate referees' and women's changing rooms.